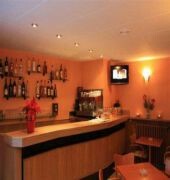 Les 7 Claus has a quiet setting, just a short walk from the commercial center of Escaldes. 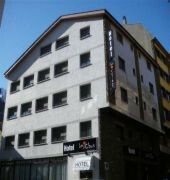 This family-run hotel offers modern rooms, with LCD TV and satellite channels.The hotel is only 220 yards from Andorra's famous Caldea Spa. The nearest ski resorts are 5 miles away. 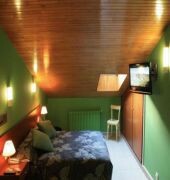 The hotel offers ski storage.The hotel has colorful decor and original features. Rooms have comfortable comforters and a selection of pillows. The private bathroom has a hairdryer.